Over at the Learning Circuits' Big Question it is time once again to reflect on the past year. So, I took a look at my most popular posts during 2010. FYI: I used eLearningLearning to identify my "Best of" posts according to social indicators. Looking for THE SCORM Resource? While it is nice to see I still have posts from 2009 that make it in the top 10, I only included those written in 2010. The first thing that jumps out is that quite a few relate to development. Although on reflection I probably wrote a great deal this year on development. Any skew towards development is probably due to starting a new job last February and dealing with learning a new LMS, some new software, and getting reacquainted with some old software. All of which I was able to do and the blog helped by being a tool of self-reflection and a great source of helpful comments and shared resources from my very generous readers. I was very pleased to see the "My e-Learning Don’ts" post at number one. I wrote it as a bit of a rant against "ineffective" e-learning, but it was tweeted quite a bit and was referenced in several other blogs. That was very flattering and on reflection I think I hit on many of the things that also irk others and sinks many e-learning projects. Hopefully it provided a dose of prevention... I know for me I will revisit it, and the comments generated, as reminders of what not to do. Thank you everyone who visited my blog in 2010 and here's to a great 2011. Happy New Year everyone! I also added a Diigo widget to this bog. So, if you are a Diigo user you can bookmark my posts using the icon in the right column. I have also inserted a working example below. ProProfs has been nice enough to give one of our lucky readers a free copy of Quiz Maker Pro. They created a sample quiz, which if you score 100% you will be included in our drawing for a free one year copy. Below is the link to the quiz, which will give you a good feel of what can be done with Quiz Maker in addition to moving you closer to winning your free copy for one year. The deadline is December 27, 2010. I will select a name from all who scored 100% and announce the lucky winner December 29th right here on this blog. As I have written in the past, I have an aversion to "next" buttons. Here are some examples of courses without next buttons, or at least in a few cases very minimal use of next buttons. If you have examples of "next button courses" that you would to share, please feel free to add a link to it in the comments section. Over at the eLearning Guild they posted the recorded DemoFest 2010 Highlights Webinar. I was lucky enough to attend the webinar last week and it was great to see the winners show off their work and learn about the design and development of these great courses. FYI: If you are an Articulate user, Kevin Thorn (a.k.a. LearnNuggets) provides some great tips and tricks during his portion of the webinar (Mission: Turfgrass). 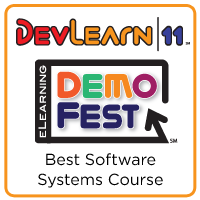 Head over to the eLearning Guild and check out the DemoFest 2010 Highlights Webinar. I like to use characters in courses because they can personalize a course and lend themselves to creating a more informal tone and an easy means of adding humor. Here are some ways I like to use characters in e-learning. Guide or facilitator - Typically this person is the expert that walks you through the content and facilitates discussions, interaction, etc. At times I like to have two guides to break up any possible monotony. When working with two "experts" I will even include disagreement or some "ribbing" between the two. This makes it more entertaining and keeps participants' attention. FYI: Disagreements are usually humorous in nature and should not compromise the integrity of any specific learning content in the course. Coworkers/project team - A course I once developed for an updated teller system consisted of the participant being assigned to a project team. As a member of the team you are assigned to numerous tasks and also assist and interact with other team members. It not only keeps participants on their toes, but they learned about the system and hopefully felt more vested in it too. Naive, struggling learner and/or jovial coworker - This character can occur along side a "straight man" and provides not just opportunities for humor, but chances to clarify and reinforce concepts as we correct their misconceptions. Monsters, ghosts, robots, anthropomorphic animals, etc. - I absolutely love to surprise course participants with the unusual. I do recommend that it not be random, but that the type of monster, animal, etc. relate to the learning in some way even if a humorous tie-in. For example, I once used the ghost of Alexander Graham Bell to provide instruction on the new phone system. Just never use a cyclops in a course, that just doesn't make sense. Here are some good resources on using characters. Cathy Moore's Dump the Drone, which includes great information on using characters among other useful things, The Writers Gateway's Have You Thought of Character Driven Stories for Your e-Learning?, and Speak Out's Characters in eLearning. If you have ideas or examples on how to use characters in e-learning, please feel free to share in the comments section. I am currently creating a course and as usual it involves numerous development tools. This course consists of using three main tools. Here they are and why I am using them. Adobe Flash - My favorite tool of choice. I like its flexibility in making the interactive assets I need for the course and not being constrained by prepackaged interactives that come with many e-learning development tools. In this case I am making the course itself in Flash. This includes each page, characters, animation, and interactive elements with the exception of the software simulations (sims) and the final assessment/quiz. Adobe Captivate - The course will contain many "try me" sims for a software upgrade in which we are implementing. I am developing these in Captivate, which in my opinion is the best out there for creating software sims. Each sim will launch in a new window from the Flash course. Keeping these in a separate folder and launched as individual SWFs will also help keep the file size and load time down. Articulate - Presenter and Quizmaker are providing the assessment and an ease of packaging it as a SCORM compliant course. What I like is the ease of developing an assessment in Quizmaker. In this case I will take my Flash course and import the SWF to the first page of Articulate Presenter. A single button in my menu, called Knowledge Check, will move the user from the Presenter page containing the course SWF to the second page where the assessment begins. The ability to have a Flash button, or menu, work within Presenter was the kicker. This allowed me to get the best of both worlds; Flash and using Articulate to create the assessment and SCORM packaging. Here is a tutorial from Screenr that shows how you can make a Flash menu that will change slides in Presenter. Over at Learning Circuits the Big Question is "What questions are you no longer asking? What are your new questions?" Here are my reflections on what I no longer ask... or do. Is adding levity to a course a good thing? Where humor is not appropriate I obviously do not include it in the design, but if it is appropriate I will enthusiastically run with it. Adding humor gets people's attention, and keeps their attention, when done right. From my own experience I have also seen higher attendance and completion rates along with improved retention. I have learned to be weary when stakeholders insist on keeping it "serious" when they have no viable reason for it to be "serious." Good chance they don't really care much about engaging the learner. Allowing input on course design from stakeholders BEFORE identifying course objectives and having an initial design. I had a job in the not distant past where every SME thought they were an instructional designer. They had it all figured out before consulting the training department. Involving them too early regarding the design opens an opportunity for them to set objectives that will not address the learners' needs and what will result in a poor design. Do I ask them to review objectives and the design? Yes, and I listen to their input, but if you approach course design too soon you will most likely be given a list of topics they want included, most of which have nothing to do with the training need at hand. They will also suggest silly things like a very linear design. For example, the classic "I want them to have to read every page." Should I use Next buttons? Unless you are extremely stressed for time and need to create it "rapidly," you don't need no stinkin' Next button. Exclude the Next button and I promise interactivity and engagement will be increased! Will the course work on our LMS? "Of course it will, it's SCORM compliant!" Ask a stupid question, get a stupid answer. What I do say, "Send me the course and I will test it on our LMS." SCORM or not, there is no guarantee it will work on every LMS. Wish I had a dollar for every time I had to tweak a SCORM manifest from a vendor's course. Are You Playing e-Learning/LMS Help-desk? A pop-up blocker on the user's computer is enabled. The user does not have Adobe Flash. A manager wants to confirm their staff took the course. Whether you receive similar calls regarding your courses or other calls for assistance, here are a few tips to make things a bit easier for you and for those taking your courses. Create concise job aids for common problems. Send the appropriate job aid via e-mail to staff in need. For example, directions with screenshots on how to disable a pop-up blocker will be well received plus they can use it again and again instead of calling again and again. Provide clear information on the LMS, Intranet, course announcements of whom to contact if assistance is needed. Also provide links to help pages and job aids. Give your organization's help-desk the heads up. Let them know certain courses are currently in demand and they may also receive calls. Give them information regarding the types of calls that might come in, solutions, and job aids they can also send callers. When your are not available, add helpful information to your out-of-office message. For example, links to help pages and job aids. Provide instructions to managers on how they can access their own reports and/or staff transcripts themselves if your LMS accommodates that ability. These are some tricks I have been using over the years and some I picked up recently and will be applying going forward. Hopefully, these will relieve the influx of calls and also provide quicker resolutions for anyone taking your courses. Please feel free to share your tips in the comments section. Thanks! As my readers may remember from my past posts, I believe it will be quite a while before HTML5 becomes a practical means of delivering e-learning or a viable threat to Flash. However, Adobe has begun prototyping a tool for creating animation in HTML5. Still a long way to go, but a good start. The video preview from Adobe TV is below. Project Rome is the latest coming out of Adobe Max. Project Rome is available for download as a free preview. There is also a Project Rome for Education. Project Rome can be used to produce a variety things including publications, presentations, websites and even animation. The outputs include PDF, SWF, JPG, PNG, SVG, FXG or web files. I downloaded the Air application, but it can also be used as a web-based service. I plan on playing with it and seeing what this new tool can do. I will keep everyone updated. FYI: It also appears that for those involved in piloting the education version, there is some integration with Moodle. Here are the FAQ pages for more info - Project Rome for Education FAQ and Project Rome FAQ. They also have quite a few tutorials too (tutorials for education version). If you are looking for music for your e-learning or educational games, I have a resource for you - mOsno. 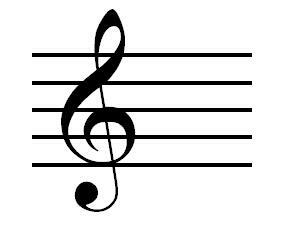 The right music can add great depth and emotion to e-learning and especially games. Just as any good instructional designer uses or creates graphics that support the learning, use of music and audio should do the same. However, it is not always easy to find the right music, or musician to create music, that will support the learning and design. Well meet mOsno. He creates some fantastic stuff including the music you are hearing now created for an educational environmental game, My Own Biome. FYI: He is not only a very talented musician, but has a game development background in addition to experience producing music for games. If you are looking to connect with mOsno, here is his site - www.mosno.net. There are also more fantastic examples of his work on the site. Labels: Audio, e-Learning, games, Misc. My next big venture is training for an upgrade to Windows 7 and Office 2010. I have good grasp of my audience, how they use their software, and access to the new OS and Office 2010. This provides me with a solid start to identifying the training needs. I have also casually talked to a few people who use Windows 7 and Office 2010 and they shared valuable information about their transition and what they found easy and what was challenging. I realized my readers probably also have great insight about the learning curve of upgrading to the new OS and Office. So, if you can provide any insight on the following, it will be greatly appreciated. What challenges have you, or your staff, encountered transitioning from Windows XP to Windows 7? What specific features in Windows 7 required assistance and/or people found frustrating? What do you love about using Windows 7? FYI: I would like to motivate learners about its benefits. What challenges have you, or your staff, encountered transitioning from Office 2007 to Office 2010 (more specifically Outlook and Word)? What specific features in Office 2010 did you require help with and/or found frustrating? What do you love about using Office 2010? Have you provided training on Windows 7 or Office 2010? Is there anything you absolutely recommend that I address in the training? What questions did you repeatedly hear during or post training? Did your help desk see any trends in the calls they received regarding the upgrade? Any feedback on the above, or feedback in general, will be of great help. If you can also add a bit about your audience, for example their willingness to adopt tech changes and how tech savvy they may be, will be helpful in gauging the learning curve. Yes, I know this may not be a typical approach to needs analysis, but I trust that there will be great benefit in learning from those that already experienced a similar transition. It will be online and always open. I always enjoy seeing great examples of digital media, especially when it is very creative and pushes the envelope. I hope to see some very innovative exhibits and hopefully be inspired too. The museum opens October 6th, but you can see a preview now at at www.adobemuseum.com. Even I will admit the iPad is an exciting device, but because it is missing Adobe Flash it is not something in which I am willing to spend the money. As you can see in the video below, we will be able get a tablet with Flash, which is enticing to me. Who knows, maybe with enough tablets coming to market with Flash on them Apple will rethink adding Flash to the iPad. It's amazing how many resources I have been discovering at Johns Hopkins. I work within one small part of Johns Hopkins Medicine and have been discovering the many resources across the larger organization available to both staff and the public. One I recently discovered is the Johns Hopkins Medicine YouTube channel, which I would like to share with my readers. I embedded just a few examples from the channel below. The Johns Hopkins Medicine channel has many more interesting and informative videos. The link has also been added to the Free e-Learning page. September's Big Question over at the Learning Circuits Blog is regarding use of voice-over in e-learning. The question addresses numerous topics regarding the use of audio. So, I thought I would contribute my two cents. First off, most of the courses I have created do not have narration. Some courses just don't need audio to be effective and it is better to spend the time (often limited time) and effort on improving the course design than adding audio. Cathy Moore addresses the topic of whether narration is needed and a few supporting studies in her post - "Do We Really Need Narration? ", which is well worth the read. So, when have I used narration in e-learning? Almost exclusively simulations (software and web application sims). I have found these lend themselves well to voice overs. The reason being that the step-by-step audio instructions allow the user to focus on the visuals of the task at hand (e.g., which button to click) and less need to bounce back and forth between reading text and perusing the simulated interface. Here are my tips if you are using voice-over. Keep text as option, whether on the screen or available through a transcript that can open for each page. This also addresses accessibility for the hearing impaired. Provide a mute button for those that find the voice-over to be just a distraction (again, make text available). If budget allows voice-over talent and a studio, great. If not, find the best person for the job at your organization. You want someone with a good voice and a pleasant personality that comes through in their narration. If they know the subject matter, that is a big plus too. Script it out beforehand, but don't be afraid to improv a bit as long as it is still true to the instruction. Do practice runs. This will help everyone get comfortable with the script and reduce the amount of retakes needed. Don't make it redundant. Don't read the text on the screen or transcript. However, make sure both text and narration provide the same instruction, but not exact word for word. Get yourself a good microphone and suitable place to record the narration. Here are some good tips on this. If it works with the design, use several voice talents to narrate. This will add a little more diversity and less monotony. Consider narration as a nice extra touch, but not a priority. Even if it works with the course design, do not sacrifice the time needed for proper design and development. Prioritize what needs to be done to create the course and put narration low on the list. Remember, a well designed course without narration will still be effective. If you have any e-learning narration tips, I would love to hear them. Please feel free to add them to the comments section. Last Thursday, #lrnchat's topic was "book talk" and question five was great fun. The question posed was "What are book titles you hope never to see?" Here is a list of just some of the responses. They are not just very amusing, they are also a great reflection on so much of what we should avoid, or at least rethink, in our industry. JaneBozarth: "More Levels for Evaluation by Autopsy"
kelly_smith01: I’m OK, You’re my SME? minutebio: "Incorporating Informal Learning into Your LMS"
Dave_Ferguson Are you not a fan of lateral thinking or is it interpretive dance that annoys you? Dave_Ferguson: Take It to the River: How Hammurabi the CEO Dealt with Naysayers and Nitpickers. kasey428: Improve the Classroom Experience: Adding Motion to Your PowerPoints! NYChase: The Client is Always Right. mbr1online: Idiot's Guide to Organizing Your Files and Catching Up on Email while Watching Webinars. trchandler: "Class Evaluation Questions that Guarantee a Raise"
minutebio: "Google Wave and How it Will Change Learning"
Want to see the books that ARE recommended? See the book list from the early #lrnchat and the full transcripts can be found on the #lrnchat page. An important note: If you have not participated in #lrnchat (online chat via Twitter), you are really missing a great experience. It is great fun and a chance to interact, learn and share with many great instructional designers. They have both an early and a late version every Thursday. The schedule and helpful information on participating is available on the #lrnchat blog. See you next Thursday! Here is a list I compiled of things I think should NOT be done when designing e-learning courses. I believe the following are counter to adult learning theory, sound e-learning design and they just down-right irk me. They are not in any particular order. Turn off navigation until a screen's audio is done. Not only do most people read quicker than narration and may choose to move on, it is just plain wrong to deny learners user control. Have audio without close caption or at least equivalent content on screen. This is not just a 508 compliance (accessibility) issue, it is also possible that some computers won't have audio capabilities. For example, this was the case at a bank I worked for where tellers did not have sound on their PCs. Force navigation. You know those courses that you can only go in a linear direction using the dreaded next button and they don't even give you access to a menu, ugh! Didn't I mention user control earlier? Neglect to include orientation. Let me know if I am on page 1 of 10 or 1 of 100. However, if you have page 1 of 100 written anywhere in your course you have even bigger issues to resolve. Call a course interactive when all it has is a bunch of pop-ups. There is more to creating an interactive course than adding pop-ups and rollovers. Here is a good resource if you are looking for ideas on how to make your course more interactive - Schone's "Engaging Interactions for eLearning." Make courses that look like it's PowerPoint. I know PowerPoint is sometimes used as an authorig tool, but at least use it to create engaging, interactive courses that do not resemble PowerPoint slide decks that you just uploaded to Captivate or Articulate. Need tips on bringing PowerPoint to life? Try the Rapid eLearning blog. Leave out feedback for review and assessment questions. Providing feedback is a chance to correct misconceptions, reinforce learning, etc. List objectives like they are written in your course design plan. Of course it is good to include objectives, but write them in a way that is more conversational and spark interest. Use graphics that have absolutely nothing to do with the learning at hand. See the eLearning Coach for some tips on using graphics. Make a course mandatory if it absolutely does not have to be mandatory. Let the learners learn for learning sake. If you have additional e-learning don'ts, please share them in the comments section. There is a new addition to the Free Cloud Apps page, it's ProProfs Quiz Maker. Quiz Maker is a quick and easy way to build a quiz that is hosted on the cloud. No software needed, it is completely web-based. You can easily post a link to your quiz from a blog or web page. It also has the functionality to tweet a link or add to Facebook or MySpace. Proprofs was gracious enough to give me a complimentary account (full disclosure) to test drive it. Here is a link to a simple quiz I made to test some of the features and so you can see some of what it does - Take my Rhode Island History quiz. Although you can embed the quiz in blogs and sites, it uses iFrames, which does not play nice with my WordPress blog, otherwise I would have done so here. I was told they are working on a new widget with additional customizations for embedding the quizzes, which is expected later this week. However, it is very easy to post a link to your quizzes (like above) or share via social media. It is on the Cloud, so users have access anywhere, whether taking a quiz or building one. You can add images, video, and links to each question. They offer a free version. You can track participation, including each user's answers and quiz stats. I was impressed with how easy it was to view participants' answers and overall quiz stats. I wish most learning management systems (LMS) made this same task so easy. FYI: Tracking is not included with the free account. According to a representative from ProProfs they are currently working on SCORM compatibility, so integration with an LMS is on the horizon. If you update/edit a quiz the stats are reset to zero. So, once you have a quiz made, make sure it is the absolute final version. More question types. They have multiple choice, fill in the blank and essays, but it would be great if they had some more interactive options like hot spots, drag and drop or matching, etc. Hopefully they will expand the question types in the future. I am splitting hairs, but I would like to see the fill in the blank allow the blank to be placed anywhere in the sentence. Unless I missed something, it appears the blank could only be placed at the end of a sentence. I would have liked to be able to also add graphics, video and links to the feedback. Regarding the free version, you cannot add the creator's name to the certificate and it is only an ad free trial for seven days, then ads will be posted. Also the tracking and stats features are not included in the free account after seven days. You can view the comparisons of pricing plans here, including what you do and don't get with the free account. FYI: They do have a very reasonably priced plan for educational users. All in all, if you are looking to create and share simple quizzes with the benefits of doing so on the Cloud, it is worth your time. I will emphasize the word "simple" because if you are looking for more interactive question types (e.g. hot spots, drag and drop, graded sims, etc. ), you will probably need to utilize more robust e-learning authoring tools to do so. If you are interested in taking Quiz Maker for a spin, here is the link again - ProProfs Quiz Maker. Google is releasing App Inventor for Android. You can find it listed at Google Labs and can learn more about it at http://appinventor.googlelabs.com/about. There is obvious potential for m-learning, including quizzes, educational games, mini-courses, informal learning.. really the sky is the limit. If development is as easy as they claim, then we can focus even more on design and are not as limited by the complexity of app development. The App Inventor uses Open Blocks, which is distributed by MIT's Scheller Teacher Education Program. Please note, the apps are for Androids and I will assume they will not be supported across all smart phones, which is a hindrance in developing m-learning. According to the site, they will be granting access to interested users in the coming weeks. I have put in my request and will let everyone know if/when it is granted. All that is needed is a Google account to sign up. Here is a video Google provides showing the development of a very simple app. Google also provides descriptions of examples that have been developed. Why Do We Have an LMS? Warning, this is a bit of a rant written mostly for my own need in sorting through how I really feel about learning management systems (LMSs). If you work with the average LMS you probably understand. I have worked numerous different LMSs, some good and some not so good. I don't think I have used any considered "user-friendly" on either the admin or the user end. Currently, I am getting to know another LMS and trying to be patient with its quirks and illogical design. To give it some credit it is not much quirkier, or designed much worse, than most other LMSs (most are drek). As in the past, once I get used to the peculiarities of the system I am sure I will begin to tolerate it and even be able to do what is needed. However, learning to get it to do what you want it to does take quite a bit of hair pulling and shouting many nasty phrases at it. I also have received great deal of help from my coworkers who also work with the system, in which I am extremely grateful. If you are reading this, thank you. Now, why the heck do we even use these things? Here are the crazy reasons we keep hearing in the corporate training world. "Auditors are going to ask for reports showing everyone took the compliance courses." "We need to give assessments and see that learning occurred." "We need a way for staff to enroll in classroom training." "So staff can access their transcripts." "We have to track EVERYTHING!" Some of these reasons are valid to a point, but do we really need a cumbersome LMS for all this? First off, we do not need to track everything. We should be more concerned that staff are learning and applying what they learned than if they have the word "completed" next to their name. In the case of assessments it may demonstrate learning, but not the application of what was learned or the results of its application. It is very important that learning occurred, but please do not assume they did anything with it. As far as classroom enrollment and transcripts, I am confident there are cheaper, easier alternatives for those tasks. Yes, there is some practicality in the fore-mentioned list and I am not naive enough to think we can simply write off the LMS so quickly. And yeah, I know the auditors want to see a report that has the word "completed" next to each person's name. However, in my perfect world we can offer courses that are accessible outside the LMS and our audience take courses because of their thirst to learn not to get the word "completed" placed next to their name. For the record, I see the value in having an LMS, but I also see its limitations, hindrances, and how it can be when overused. I guess you could say I have a love-hate relationship with it. What value do you see in an LMS or what do you see as reasons we do not need one? Thank you for allowing me to vent on this subject. I have to get back to completing a bulk enrollment and then run a couple of reports. I hope everyone is having a great 4th of July! There has been plenty of buzz about HTML5 and it being a "Flash killer." I think HTML5 has great potential and will be a welcomed improvement to the web, but it is still in its infancy and does not show any signs of being able to compete with Flash anytime time soon. I think some of the confusion comes from the fact that it currently has the ability of embedding video and audio, which makes it a viable alternative regarding those commonly used features. However, if you have looked at animation and interactivity in HTML5 it does not compete with Flash at all. Here are some examples and another, which support my argument. FYI: My intent is not to demean these examples. They are good considering what the creators had to work with, a working DRAFT of HTML5 and are a sign of better things in the years to come. So, will HTML5 compete with Flash in the future, maybe but keep in mind it has a very steep climb and Flash will not be standing still waiting. I do think HTML5's edge will be that Flash is not on all mobile devices including the iPhone and its larger version, the iPad. I also think the appearance of the iPad has greatly increased the buzz on HTML5 and may boost its demand. Something that has also been confusing is its availability. Yes, a working draft is available today and browsers are starting to support it. However, the W3C candidate recommendation stage is expected in 2012 and will reach W3C recommendation in 2022, possibly later. No, that is not a typo, it does say 2022. See more on the estimated timeline here and also here. We will see advances and improvements over the next few years, but they will still be working drafts. It will be very interesting in how e-learning authoring tools adopt and adapt to HTML5. I am sure many are exploring that now. As far as web development, Dreamweaver is already offering an extension so you can start exploring it now. The video below provides information on Dreamweaver and HTML5 along with an opinion on the "HTML5 and Flash" issue. Bottom line, don't put all your hopes in something that has yet delivered. Learn about it, keep an eye on it, even play around with the working drafts if you have the time and patience. Right now Flash is the best and most powerful tool in an e-learning developer's toolbox and HTML5's current draft can't touch it. Will that change? Maybe, maybe not, but if it does it will be quite a while before HTML5 is a true competitor for Flash. Until HTML5 offers the same level of quality as Flash I will stick with Flash and still recommend it for any e-learning developer's toolbox. Again, here is the link to Dreamweaver's HTML5 pack. And if you have any examples of HTML5 that prove me wrong or an opinion, please add it to the comments section. A Flash user open to using HTML5 when and if it becomes a viable alternative. What's New in Captivate 5? Twitter, That's What! Keep in mind it is not nearly as robust as what you will get from loading the course to your LMS, but it may work for those without an LMS and limited reporting needs. You can read about other top new features along with some video previews here. Yesterday I attended a SCORM webinar provided by Advance Distributed Learning (ADL). If you do not know the ADL, they are a part of the U.S. Department of Defense and are the producers of SCORM. At the conclusion of the webinar they gave a tour of some of the available resources on their site. These include SCORM documentation, past webinar slides, and content examples, including the files from a Flash example. which you will find listed as "Plug-In Technologies Content Example." They also provide a test suite. FYI: All of the above are free to download. Do you have any great SCORM resources? Please share in the comments section, thanks. June's Big Question over at the Learning Circuits blog is regarding tools one should "...learn today in order to be a valuable eLearning professional in 2015." So you know my perspective, since my start in e-learning I have always been both a designer and developer. Although my degree is in instructional design I have worked in corporate training departments where I am responsible for both. This is not unusual in corporate environments, especially among small to mid-size companies. In my instructional design graduate program, UMBC, I took several courses that focused on development, but they really only scratched the surface. They provided just enough to make us dangerous with HTML, Flash, Photoshop and Authorware. Most of which gave me a good baseline for further developing my e-learning development skills. No, I do not use Authorware now, but it is hard to predict what will be an essential tool 10 years down the road. Five years is tough to predict too, but I will attempt it anyway. A pertinent point is that you can learn any number of development tools, but when you get to a new position your employer may have tools already available that they prefer you use or they may have you determine what tools to use. I have experienced both situations. One thing you can count on, if they already have an LMS you are stuck with it unless they already had plans to change the LMS and you are the sucker, I mean expert, who is to select and implement a new one. So back to the big question, I would recommend the following types of tools, and examples where appropriate, that you should "...learn today in order to be a valuable eLearning professional in 2015." Social/informal learning: Microblogging (e.g. Yammer or Twitter), blogs, social bookmarking (e.g. Delicious), virtual worlds (e.g. Second Life). Games: We are already seeing more and more games in e-learning and I think that will increase even more in the next five years. For me, I use Flash to develop games, but whether it is Flash or other game development tools get to know how to use them. Learning Management System (LMS): I would get familiar with the features of an LMS, how they function, how companies' use them and where they are going. I believe they will still be very present in corporate training in 2015, but will integrate more informal learning tools along with mobile learning, virtual worlds and alternative reality games (ARG). SCORM: Learn at least the basics of SCORM including how to make basic edits to a SCORM manifest. Because the LMS will still be present in corporate training, like it or not, SCORM will still be very needed in 2015. Graphics editing: There is a good chance you will need to create and/or edit graphics for your courses (e.g. Photoshop or Fireworks). If you are lucky enough to have a graphic artist on staff, it is still good to know the basics and be able to "speak their language." e-Learning web-based training (WBT) development tool: This will most likely be your "go to" tool for developing asynchronous online courses and/or assessments (OutStart Trainer, Articulate, ToolBook, etc., etc., etc.,). Keep in mind some may be DHTML output, others create Flash SWFs. By 2015, I am sure many will create HTML5 files too. Flash: Yes, Flash is still very much alive and well in e-learning and because it is so embedded in our industry and there is nothing at this time that can provide the rich interactive elements that it provides, I do not see it being "dead" in our field anytime soon. The fact is HTML5 is not there yet and if it ever does get there it will probably be more than 5 years before it is at the level of quality and ease of development that Flash currently provides. However, see my comments under HTML/HTML5. HTML/HTML5: Learning HTML will come in very handy, especially if your WBT tool creates DHTML files, which you may need to edit at times. As far as HTML5, it is not officially released yet nor is at a point where it can be used to create the level of interactive content you should expect in e-learning courses. However, years from now it may be much more practical and creating HTML5 content will probably be best done via Adobe Dreamweaver. So, learn Dreamweaver now and as HTML5 emerges keep up to date with how to use Dreamweaver to create HTML5 content. eLearningLearning, which aggregates many useful e-learning blogs including many discussions on development tools. Social bookmarks is always a great way to find useful resources. Here are some of my bookmarks - development_tools, cloud, games, flash_tutorial, SCORM, HTML, HTML5. Learning Tools Zone (C4LPT) has a very expansive list of learning tools. Once you determine the tools you want to use, search out the application's development center and blogs that focus on the tool. For example, the Captivate blog or their development center, Articulate's Rapid eLearning Blog and Word of Mouth Blog, etc. Try the tools that interest you. Many tools have trial periods or are free. Give them a try along with any tutorials available. The best resource is talk to people in the field who are developing e-learning. Ask them about the tools they use, how they use each, their recommendations on getting started with the tools and what they think with be valuable to you in 2015. I have talked in the past about Adobe Flash coming to TV and the potential impact on e-Learning (Adobe Flash on TV and Adobe Flash on TV - Update). Now Google has announced Google TV and it WILL have Flash (Flash Player 10.1). They even have a page regarding designing websites for TV that provides some guidance on designing Flash for Google TV. The SDK is expected in several months and Google TV devices will go on sale this fall according to their FAQs. When I peruse my blog stats it always amazes me that my storyboarding posts are some of the most visited and my storyboard template has been downloaded far more than expected. I guess the practical things are the most valuable. Since there is such interest in storyboarding I thought I would follow-up and offer a few more practical tips on creating and using storyboards. - a combination of the aforementioned. This will determine how detailed they should be, the technical information you need to include, and how "rough" they can be. For example, storyboards that are for my sole use are sketched out in pencil and the notes are to a level of detail that suits my own needs. If for a developer, obviously I would add far more technical detail and content, for a SME it would focus more on the content and I may leave out technical specifications, etc. Put storyboards up on a wall. This is the best way to get the feel for the course's flow and how well it is, or is not, designed. Keeping them on the wall is also a constant reminder of the project, keeping you looking at it, and will call out to your coworkers to take a look and provide feedback. Play with the storyboards. I write mine in pencil just for that reason. Once you read them over there will be many improvements that jump out at you. Make the changes and see how they work on the storyboards. Don't feel you have to stick to the storyboards. Sometimes what works on paper just does not translate well on the Internet. Also, at times the technology, resources, or time just does not allow exactly what is written on the storyboards to happen. We often discover this during the development phase. Note: Whatever sacrifices you make do not make them at the cost of learning. Include good notes on navigation and orientation. Even properly arranged on the wall, a non-linear course's storyboards can become confusing without good notes on which link/button goes to which screen or event. Storyboards never do the final product justice. They are only representations and cannot fully capture the rich interactivity of the course. Be patient with them and remind anyone involved with the storyboards that they are an initial design and they will get an even better feel for the final product when it comes to life in the coming online drafts. If you have additional storyboarding tips, please share them in the comments section. Thanks! Learning Circuits' Big Question for May is "So what can, should, or will, we offer the digital generation by 2015?" Five years is not very far into future, but in terms of technology things can change immensely in that amount of time. Just think of how learning technology has changed in the past five years. Off the top of my head here are a few things I think we will be offering in 2015. We are already seeing the impact of social media and informal learning, but we will see it blend immensely with both classroom and e-learning. Asynchronous e-learning will incorporate social media into courses allowing for more collaborative learning and formative evaluation by the course designer. As for the classroom, we already see a "back channel," but it will be more prevalent and more accepted, even encouraged, by facilitators. More access and advances in smart phones, tablets and smart boards will help blend e-learning, social media and classroom training. The cloud has also grown, but I see in five years much more robust development tools on the cloud. There are already great cloud tools out there, but I think we will see more e-learning development tools at the level of Flash, Captivate, Articulate, OutStart Trainer, etc. on the cloud. Much of which will be courtesy of open source projects. Among the many benefits, it will increase mobility on the developer's end. We designers/developers won't be limited to working only on the computer in which we loaded our Flash CS10. Adobe Flash will be alive and well. HTML5's full release is two years away. We probably will see it replace Flash for video/audio support, but it will fall short in its quality and level of interactivity and animation. HTML5 development tools will not provide the ease of creating rich Internet applications... at least not after only three years in. We will see Flash be the preferred medium of e-learning developers and a favored output (SWFs) of other e-learning dev tools. Upside Learning Blog has a good post on HTML5 and e-learning development that is a worthwhile read on this subject. We will offer even more edu-games. Again Flash will still be preferred as HTML5 just won't be there yet. On the design end, the industry will focus much more on offering truly engaging, instructionally sound courses and our audience will demand it. Hopefully page turners will be extinct by 2015. When creating e-learning courses I ask stakeholders to sign-off on the final product. This is only after the review process is complete. Very often the stakeholders are also the subject matter experts for the course. Either way, I find that a sign-off provides confidence for me and my team that the course meets the approval and needs of the stakeholder, the content is accurate, and that we have a commitment from the stakeholders/SMEs for future reviews. Here is what I include in a typical sign-off form. Granted, this may change depending on the project and any addendum requested by the stakeholder/SME. I keep it as simple and succinct as possible. The following points are included in the agreement. That the design and content for the course provides accurate information and complies with the organization's current policies and procedures. To conduct future reviews on a specific scheduled basis to verify its accuracy. To inform the course designer(s) of any future content, policy and procedure changes that affect the on-line learning program. The course will not be released on the learning management system (LMS) or Intranet without the completion of this form/agreement. Please keep in mind, I am referring to a sign-off for courses created for internal use. A sign-off for an external client would be approached with greater detail. Are there additional things you include in a sign-off? Please feel free to share in the comments section. After six years in banking, I have recently returned to the healthcare industry. Thankfully, e-learning is prevalent in healthcare and very receptive to the use of games. Games are a fantastic way to challenge learners and keep them engaged and interacting with the content at hand. Like many in e-learning, I am responsible for both design and development along with playing the role of graphic artist too. This is what I refer to as my "one-man workshop." I think some in our field who are also a one-man, or woman, workshop may shy away from the use of games in e-learning because of the level of resources and time required to produce a game. Yes, we do see some great games out there that required large teams of designers, developers, graphic artists, etc., but that does not mean we can not create e-learning games too. For me it is more of a matter of scale and taking advantage of the resources that are available. ActionScript for Fun and Games by Gary Rosenzweig - The last edition is from the days of Flash MX, but it is still a great resource when it comes to developing games that can be tweaked into e-learning games. Gary also has more updated resources online at www.garyrosenzweig.com. Flashkit game tutorials - They not only have a good collection of game tutorials, but also provide the source files which help immensely in dissecting and learning the ActionScript. It is very exciting to be part of an industry that sees such value of games in education and training. FYI: There is also a conference next month (May 25-27) on the role of games in healthcare - Games for Health Conference. I won't be able to attend, but it looks great. Here is a video from AdobeTV of Greg Rewis' run through of some of the new features and improvements in Flash Professional CS5. These include text layout framework, code snippets, ActionScript editor, Spring for bones, video improvements, new deco brushes, and Flash Builder & mobile content. I was adding another course on the free e-learning page and what really jumped out at me is there are an awful lot of examples from the BBC. They have been producing a lot of great stuff, so I thought I would share all the BBC examples I have found. I am sure there are even more to be found on the BBC site. Viewing these and other quality courses and interactives is a great way to get inspiration and ideas for creating your own engaging courses. There are plenty more examples of e-learning on the Free e-Learning page. The devices shown have Adobe Flash, but the iPad does not. So much e-learning is made in Flash, or published as SWF files, and iPad users will not have access to it. What a shame. April's Big Question from Learning Circuits is "How to Keep up?" This is in reference the immense and rapidly expanding technology tools. It is tough to stay on top of all the emerging tools. However, being involved in an e-learning community is a big help. For me it is a blog community and following many experts on Twitter. Not only am I often made aware of new tools, but also get opinions, tips, and examples of their use. You can never keep up with it all, but access to many experts who are also finding and sharing the lastest tech tools make it much less daunting. That is a lot of tools this blogging community has discussed and introduced to its readers. I also like to make occasional visits to Google Labs and Adobe Labs to "keep up" with the tech tools they are working on and to test drive any beta versions available. When I do find interesting tools I will keep track of them using my Delicious account. Tagged either under Development Toolsor Cloud. When it comes to free cloud apps, I also share them on my blog's Free Cloud Apps page. It is tough to stay on top of all the great stuff being offered out there, but the blogs and social media certainly help. I am employed as an e-Learning Designer in Baltimore, MD. I hold a Master of Arts in Instructional Systems Design from the University of Maryland, Baltimore County and have fifteen years experience designing and developing e-learning. My experience also includes nineteen years of designing and facilitating traditional classroom training in the banking and healthcare industries and for nonprofit organizations. Welcome to L&D Global Events! eLearningCylops.com by Jeffery Goldman is licensed under a Creative Commons Attribution 3.0 Unported License.